Take advantage of one of the best spots that our house has to offer, with this VIP package based within the spectacular new Captain’s Club bar. Re-styled at the beginning of this season, Captain’s Club offers a laid-back, social setting for concert goers to soak up the unique Franklin’s Gardens atmosphere. After parking your car onsite and enjoying VIP fast-track check-in, you can take advantage of this private lounge both before the show and during the interval. As well as picking up three complimentary drinks from our private cash bar, the I Want Your Love package also includes a grazing station to make sure you don’t go hungry. 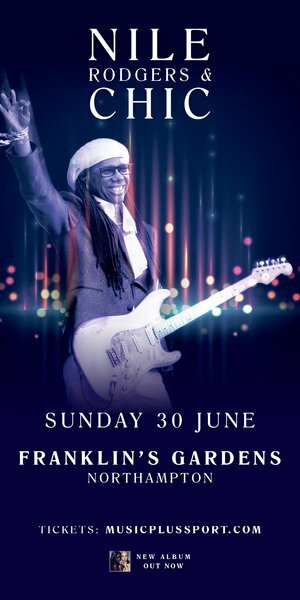 And you will watch Nile Rodgers and Chic strut their stuff from the Franklin’s Gardens terraces, with the raised standing area offering a superb vantage point to take in hit after hit.